When business owners think about social media marketing, they often focus on Facebook, Twitter, and Google+. But many forget that YouTube is a strong marketing avenue too, providing potential for improving search engine placement and reaching new customers. Active YouTube members know that establishing a presence on the site centers on creating a YouTube channel. If you’re a Google+ member, you can create a channel using your Google+ account. If not, you’ll simply need to set up a regular YouTube account. Once your channel is in place, you may begin uploading videos, easily access and manage your subscriptions, and interact with other users via a newsfeed that brings all of your video comments together in one place. For a business, a YouTube channel can be an invaluable tool for customer engagement. The first step is to complete your profile on the channel and begin uploading videos. By adding descriptions to each of those videos, you can increase the chances your videos will feature prominently in searches for content similar to yours. Videos should be informational, with content designed to fulfill consumers’ needs. Brief how-to videos and short explainer videos that simply describe how your business works can get the message across without feeling too direct. Once a YouTube user stumbles upon one of your videos, that user can browse your channel to check out other videos. For this reason, it’s important to regularly upload relevant content to your channel, along with a link to your business’s website. If videos meet visitors’ needs, those visitors will then subscribe to that channel and keep coming back to watch any new additions. The Small Business Administration’s YouTube Channel is a great example of customer engagement using the YouTube platform. Videos are designed to help small business owners, featuring “how to” instructions that answer visitor questions. 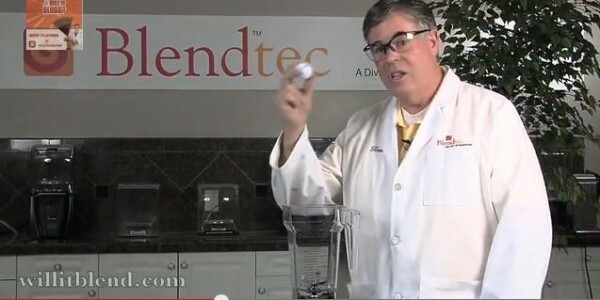 BlendTec took a more humorous route, uploading videos with demonstrations of the company’s trademark Total Blender blending various items like iPads, iPhones, golf balls, and crowbars. The “Will it Blend?” series went viral, bringing more than a half million subscribers to the company’s channel. “Will it Blend?” is an example of how businesses can use YouTube to demonstrate products in a unique, fun way. Instead of simply showcasing the product blending normal items, the company went for the dramatic, entertaining visitors in a way that could potentially prompt visitors to share them on other social media sites. By truly knowing customers, small businesses can create videos that answer questions those customers have. Those customers will then seek more information on that business by visiting the official website or other social media sites… and that’s where the marketing begins to pay off. Stephanie Faris has more than a decade of experience in government technology. She has authored more than 3,000 articles and blogs and regularly writes for several major technology websites. Stephanie also writes fiction and her first book, 30 Days of No Gossip, will be released in the spring of 2014 by Simon and Schuster.